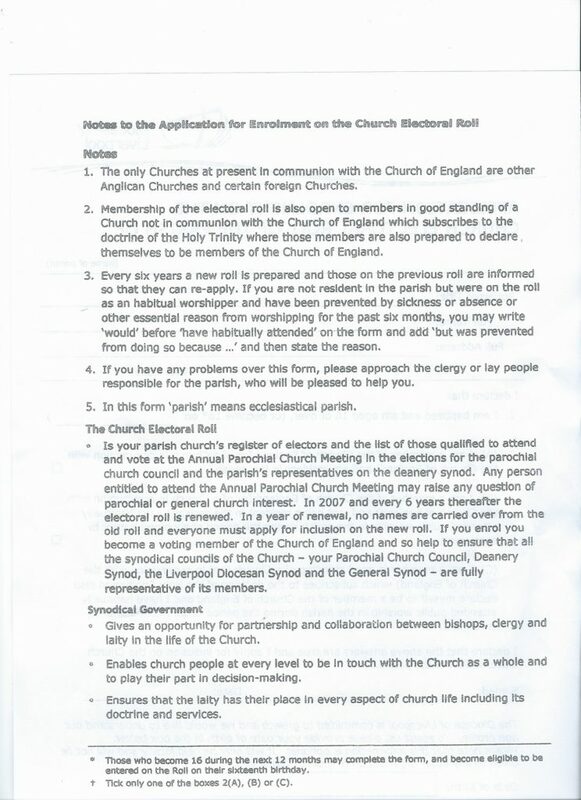 The Church Electoral Roll is renewed every six years. 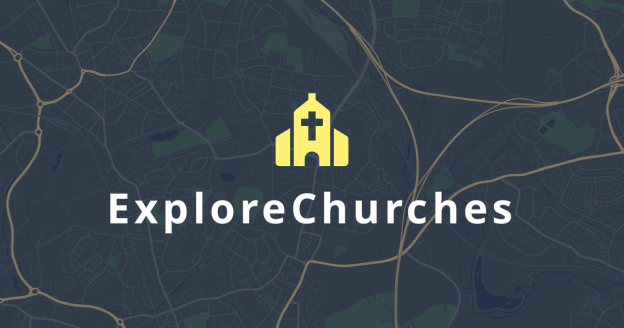 If you are not sure about being on it please check the current list in the church porch. 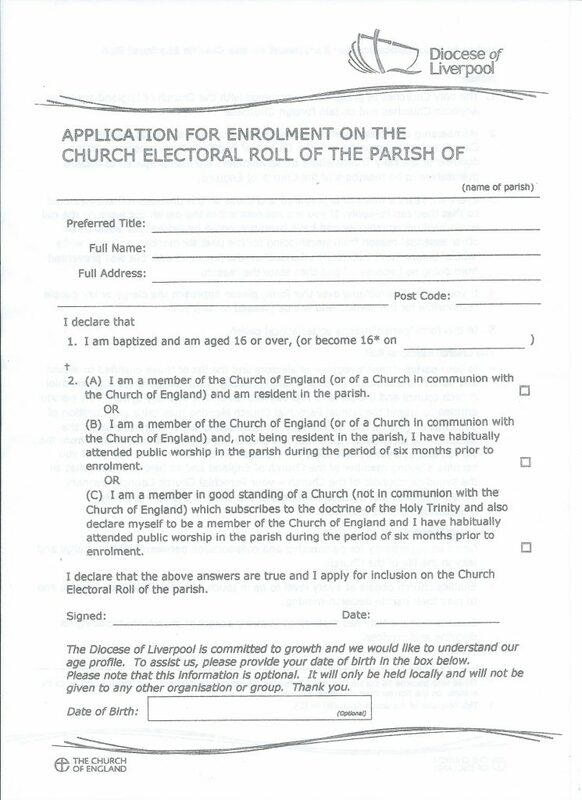 A form is below if you are not , please fill in and return to Mrs Norma Rimmer. Paper copies are at the back of church.